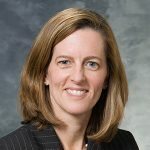 Dr. Elizabeth Burnside, Professor of Radiology and Associate Dean of Team Science and Interdisciplinary Research in the UW School of Medicine and Public Health, is lead investigator of a Breast Cancer Screening Project within the UW Madison Center for Predictive Computational Phenotyping (CPCP). Along with her transdisciplinary team members, David Page, Niko Escanilla, Shara Feld, Ming Yuan, Jun Fan, Jennifer Cox, Eric Mischo, and Terry Little, Dr. Burnside is committed to improving the breast cancer screening process for both patients and physicians. Advanced research methods are allowing researchers to make important strides in battling breast cancer. Statistics show that approximately one in eight women will get breast cancer in their lifetime, and approximately 40,300 women die from breast cancer in the United States each year. However, the recommendations for breast cancer screening differ in terms of the age at which one should begin screening and how frequently one should be screened. New technology has created a new world of possibilities for cancer screening research which can be advantageous to help physicians and patients determine a more accurate screening plan that is tailored to each individual. To better customize an individual screening plan requires that researchers develop tools and methods to select necessary information from large biomedical datasets which contain genetic information, molecular profiles of cells, clinical diagnostic tests, and electronic health records. This, in turn, provides researchers with crucial information that can be used to better understand a woman’s individual susceptibility of developing breast cancer.